After a serious car or motorcycle accident, chances are you will need a wide variety of treatment. Some of that treatment will be covered by Ontario’s OHIP Healtcare System. That means if you have a valid Ontario Health Card, it will be FREE. Seeing a medical doctor (not a chiropractor or a psychologist), a hospital visit, and even treatment through the Community Care Access System (CCAC) is all covered. This is fantastic news for accident victims, especially when you compare healthcare in Canada vs. health care costs for our neighbours south of the border. Some treatment isn’t covered by OHIP. Things like physiotherapy, massage, chiropractic care, occupational therapy, speech language pathology outside of the hospital, psychology treatment, social work, rehab coach etc. All of these things are NOT covered by OHIP (with some exceptions). If you’ve been involved in a serious motor vehicle accident, chances are you will need at least one, if not a few of the aforementioned treatments. Without OHIP or collateral benefits, you will have to pay for these treatments out of your own pocket. If you aren’t working following a serious car accident, you likely won’t have the money to spend out of pocket on these treatments unless you’re incredible well off. Here is the “good news”. When I put “good news” in quotes, it’s because I’m explaining a text book; best case scenario…And we all know at law; these text book best case scenarios rarely happen. 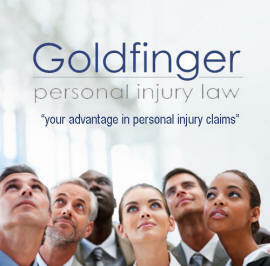 That’s why there are so many personal injury lawyers around. Ontario’s no fault accident benefit system provides for payment of these health care expense which aren’t covered by OHIP. That means if you’ve been involved in a serious car accident, either your own insurance company, or that of the other driver will pay for your reasonable and necessary health care costs up to a certain limit ($3,500; $50,000 or $1,000,000). These limits are constantly changing. By the time you read this Toronto Injury Lawyer Blog Post, chances are the med/rehab limits which I’m explaining will have changed to some combination of $3,500 and $60,000. In any event, discussion of med/rehab limits for an Ontario accident benefit claim are not the reason we are posting this week. The reason we are posting is to help you get the help you need when it comes to completing the OCF-18 Treatment Plan for health care. The OCF-18 is a magical form which every health care provider and personal injury lawyer knows about. Chances are they have blank copies of the form sitting around their respective offices or clinics somewhere. In order to get your treatment paid for by the car insurance company, and OCF-18 Treatment Plan needs to be signed, and completed. Think of an OCF-18 Treatment Plan as you would think of as a permission slip for a school field trip. If the permission slip isn’t completed, or not completed properly, or not signed or witnessed; then you don’t get to go on that school field trip. The exact same concept applies for the OCF-18. If it’s not completed properly, not signed, not witnessed, or not completed at all, then the insurance company does NOT have to pay for the treatment. PART 1: Complete your date of birth, First Name, Last Name, Gender, Address, Postal Code, City and Telephone number. That’s it! Easy so far right?!?!? PART 2: Complete the name of the insurance company you’re dealing with, the name of the adjuster, the name of the policy holder for the claim ( I don’t know why this question is asked but I’m sure somebody at the IBC will have a good reason for it). Still easy if you have the proper information in front of you. Here’s a quick lawyer tip: All of the insurance company’s information will be in the Subject Line of the first page of the letter addressed to you. Also, check the top corner’s or bottom of the letter from the insurance adjuster for their additional contact information for use in completing the OCF-18. PART 10: I just skipped from Part 2 all the way to Part 10! Yes, I did! The reason for that is that all of the other parts of the OCF-18 are to be completed by the regulated health care professional who is completing the form. The only parts the injured accident victim needs to complete are Parts 1, 2 and 10. Part 10 is the MOST OVERLOOKED part of the OCF-18 because it’s on the second last page (page 4 of 5) which people often gloss over. Having said that, Part 10 one of the major reasons why insurers deny treatment plans aside from them believing the treatment plan not to be reasonable and necessary. All Part 10 of the OCF-18 requires is for the injured accident victim to print their name, sign their name, and date the form. That’s it! But if you don’t print, sign or date your name, it’s grounds for the insurer to DENY the Treatment Plan for being incomplete. This delays your treatment unnecessarily. Just make sure you complete the form properly. The rest of the OCF-18 Treatment Plan is for your health care provider to complete. Basically, they are to describe the nature/scope of their practice, the proposed treatment, your injuries, the treatment goals, and the cost and duration of the proposed treatment. The applicant/injured party has little to nothing to do with the balance of the form. If your treatment provider does NOT know how to complete an OCF-18; you should really think twice about whether or not you’re seeing the right rehab professional. Chances are that if they don’t know how to complete an OCF-18, then they’re also not registered on the Health Claims for Auto Insurance (HCAI)system. This is an electronic system for transmitting auto insurance claim forms between insurers and health care facilities in Ontario. It facilitates the payment of Treatment Plans and most insurers (if not all), won’t deal with providers who are NOT registered on HCAI.